It’s a bird! It’s a plane! It’s a…gondola? David Levy has spent the last year insisting the Georgetown-Rosslyn Gondola is no joke. 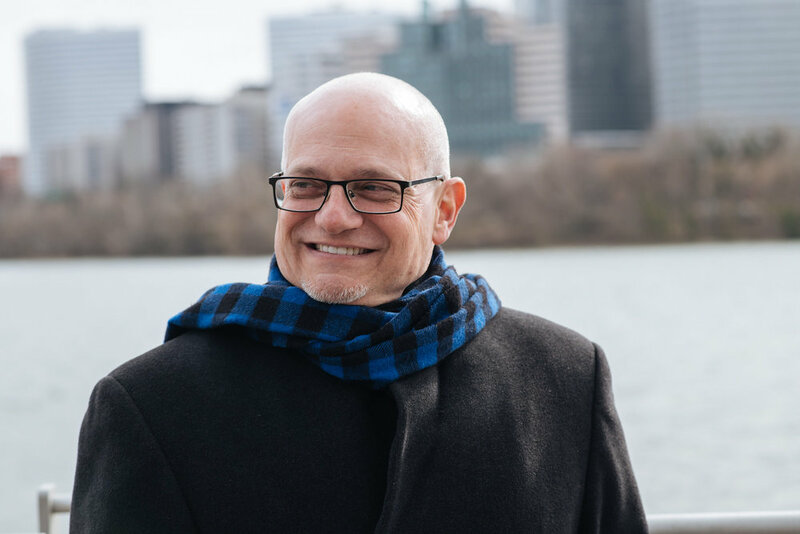 David became involved in the project in 2016 when his firm, Livable City Group, joined a team led by ZGF Architects—the design firm that successfully bid to conduct a feasibility study evaluating the proposed transit system connecting Georgetown to the Rosslyn Metro station. His role in the feasibility study was to coordinate with over 20 local, state, and federal agencies—all of whom have jurisdiction over the project—and design an approval path. The study concluded that an aerial gondola was feasible—with the potential to be built decades before a Georgetown Metro station, providing much of the benefit at a small fraction of the cost, and serving the largest employment center in DC that doesn’t currently have Metro. Today, David is doing an extension of that work—rounding up stakeholder support, and working with the agencies to determine environmental requirements, as well as a funding path. In his years at the National Capital Planning Commission (NCPC), David’s job was to ‘mold projects into a relatively conservative context.’ Something like the gondola, he says, might have alarmed him had it come across his desk. This project taps into David’s two ‘great loves’—transportation and public space. He got the land use and transportation planning bug when he moved to Alexandria in the 80s, part of a Virginia Tech architecture program at its satellite campus. As David began driving around Northern Virginia, he was both alarmed and intrigued by the uncontrolled sprawl—suburbia eating up the countryside. During his time at NCPC, everything from the Eisenhower Memorial and The National Museum of African American History and Culture, to projects on the Mall that have yet to be built, came across David’s desk. It was a lesson in patience and thick skin that has prepared him for complex projects like the gondola in a town with a range of perspectives and approval agencies, where a project can take 10 years to be built. David hasn’t given up on the gondola, but he says it requires leadership at both the regional and municipal level. David says the state of Georgetown’s transportation is problematic, and the gondola is an opportunity to address it. There are over 40 successful urban gondola systems throughout the world—from Mexico City to Portland, Oregon. David sees broad applicability for the technology not only in Georgetown, but in Northern Virginia, and east of the Anacostia River as well. If the Georgetown-Rosslyn Gondola can secure the backing of city leaders, the next step is launching a three-year environmental study. Theoretically, if that began this year, the system could be running by 2024. According to the most ambitious WMATA estimate, the metro tunnel won’t be built until after 2040. David says the gondola could either be replaced by a new Georgetown Metro station or coexist with it. Regardless, the gondola would be Georgetown’s ‘Metro station’ for the next 20 years. Still, David isn’t hanging his hat on this one project. 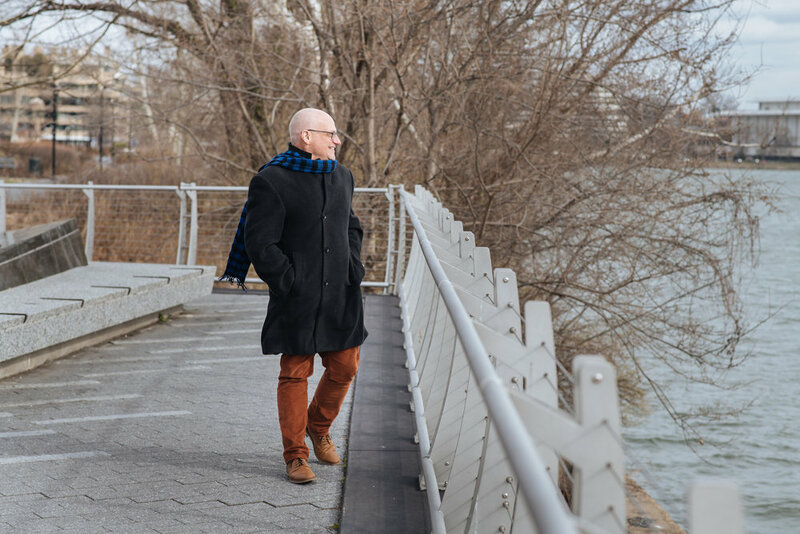 His firm gravitates toward ‘surgical, tactical work’ in public space—offering planning advice to municipalities, universities, and BIDs, while also conducting small planning studies. His community engagement partnership–Ēlumināt–conducts surveys, workshops, and public meetings. It’s nimble work that offsets David’s more long-term projects. Both firms also integrate equity into their work, with a focus on DC’s large Deaf community. Four years ago, after a business event where he was unable to chat with a Gallaudet administrator, David enrolled in a sign language class the next day. Today, he hires Deaf people for every project—young graduate students studying city planning or policy, who might otherwise have a difficult time getting to the table because of language and cultural barriers. Space that could one day be 150 feet above the Potomac.